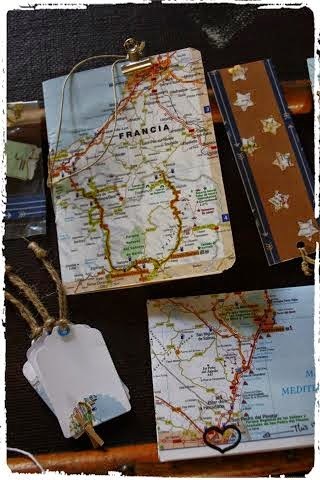 Some time ago we showed you cute travel inspired mail so today we want to share with you another one lovely letter with lot of maps - sent by Choni (Spain) to Sara (UK)! 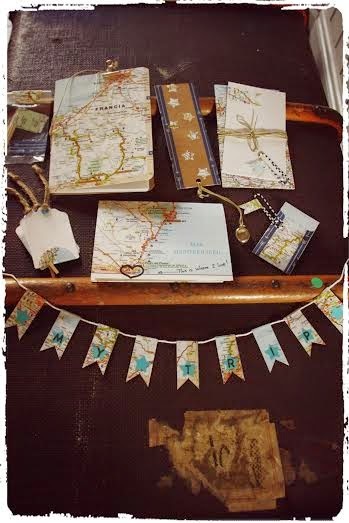 Sometimes it's quite hard to realize where lives your pen pal, so Choni made sure that Sara knows from where comes this lovely mail - isn't it lovely idea to use a map and mark your town there? 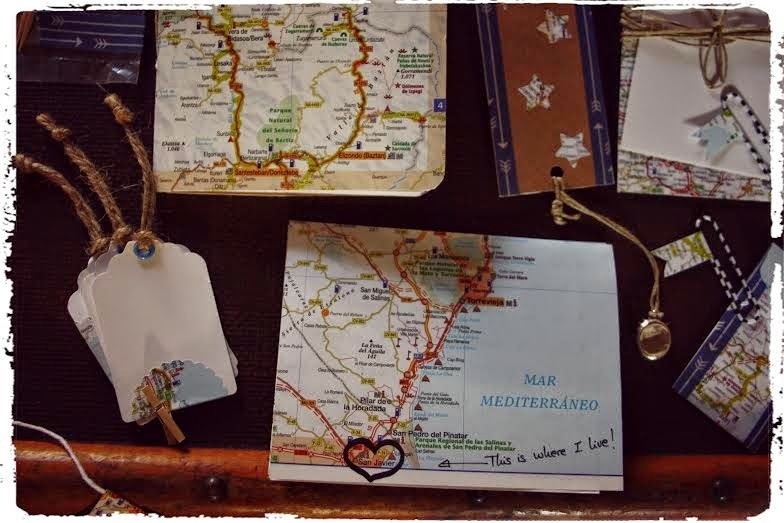 We don't have information about that,but looks like Choni has used the whole Europe atlas to create these little things - here you can see gift tags and notebook. Overview of all Choni goodies sent to Sara, including cute garland which says - My Trip! Ps. did you spotted the background of these photos? It's a vintage suitcase from Sara's collection! Don't miss our next post - it's coming soon! 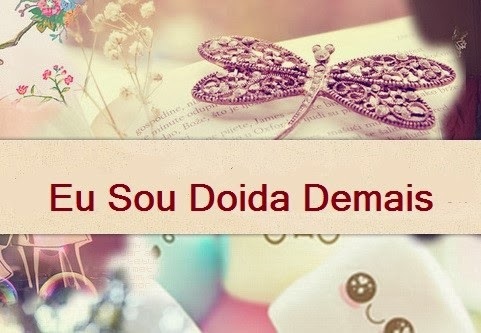 Be a friend of our blog in Bloglovin' or Facebook!